Owners of older diesel vehicles will receive an incentive of up to £2000 when they trade in their old car for a new BMW, Mercedes-Benz, Mini or Vauxhall, and up to £7000 towards a new Ford. The new plans are designed to reduce the pollution caused by diesel cars, as well as increasing the uptake of low-emissions cars in the UK. Despite the sales of such cars rising by more than 30% over the past year, they still account for just 4.3% of the total market. To qualify for BMW’s incentive, owners must trade in diesel cars that comply with Euro 4 emissions standards or older – which covers cars registered before September 2009. Owners can check if their car qualifies here. Euro standards set the limits for emissions from new cars, with the first, Euro 1, being introduced in 1992. 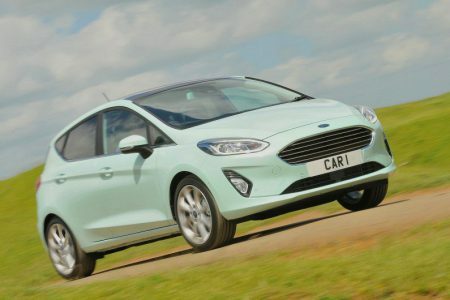 Buyers will be offered up to £2000 to trade in their cars – on top of the vehicle’s residual value, as determined by used car experts CAP. The value of the incentive must be put towards buying a new BMW or Mini. In particular, it must be either a BMW i3, a plug-in hybrid car (such as the BMW 3 Series 330e or the Mini Countryman S E All4) or a car that complies with the most modern Euro 6 emissions limits, with CO2 emissions of less than 130g/km. That means owners will be able to choose from the majority of BMW’s range, including multiple versions of the 5 Series luxury saloon, which is our Car of the Year for 2017. Some of the brand’s larger SUVs do not qualify, though. BMW says that 80% of its range qualifies for the discount, alongside 70% of Mini models.